Sheryl Sandberg, Facebook’s Chief Operating Officer, in a blog post. according to its latest Federal Election Commission filing. It marks the first time the organization has been paid by any political entity since its founding, FEC records show. Outliers is such an unknown entity that leaders of President Donald Trump’s campaign hadn’t heard of it. “Not heard of either” [the Outliers or Clerestory], a senior Trump campaign advisor told CNBC. Veteran Republican strategists haven’t heard of The Outliers, either. “Never heard of them,” said Cam Savage, a Republican consultant who founded GOP advisory firm Limestone Strategies. Outliers is run by Rob Berra, a former U.S. Army infantry officer and managing director of intelligence gathering firm Clerestory Research, which also isn’t known as a go-to firm for the GOP. Berra’s LinkedIn page identifies him as the director of the Outliers and as Clerestory’s managing director. On its own LinkedIn page, Clerestory describes itself as a company that delivers “open source intelligence that empowers clients to make superior tactical and strategic decisions.” Opposition research firms often dive deep into open source intelligence, which is data publicly available but often hidden in the archives of the internet, and deliver it to their clients. Reed, the RNC spokesman, declined to discuss Berra’s research targets or the information he gathered for the $10,000 payment. Emailed requests for comment from Clerestory Research were were not returned. Outliers is based in Arlington, Virginia, business records show, while Clerestory is located less than a block away from the White House. The RNC appears to be Outliers’ sole client. While March marked Outliers’ first payment from the RNC, the committee has a history of turning to similarly small limited liability companies for consulting work. In March, the RNC paid Excelsior Strategies out of Arlington $30,000 for management consulting. The same firm received an equal amount in February. The RNC paid St. James Strategies $20,000 last month and a combined $40,000 between January and February. The RNC also paid opposition research juggernaut America Rising Corporation $20,000 in March and just over $27,000 in February. Republican strategists said the RNC’s Outliers hiring could be a sign that the party is turning to a wide range of groups for help in collecting as much dirt as possible well before the Democratic Party chooses its presidential nominee. 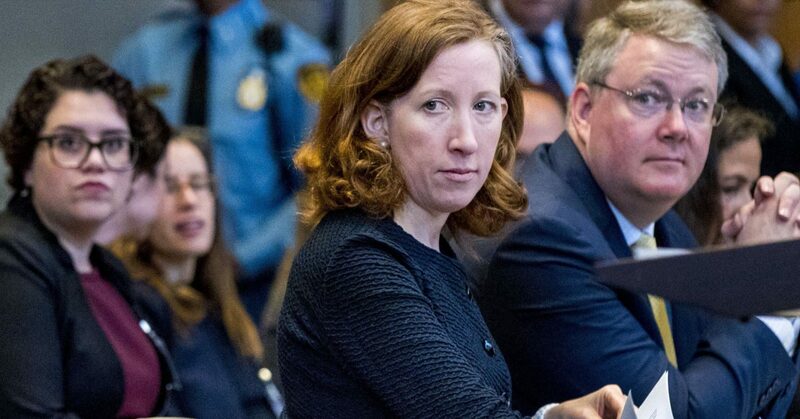 “Perhaps they have a specific strength in an area of interest, perhaps the RNC is looking to try something different from their traditional vendors to see what kind of product they might receive,” Christian Perry, former deputy campaign manager for John McCain’s 2008 presidential campaign, told CNBC. He also hinted at another potential reason for why the RNC might be branching out. “America Rising is not exactly full of Trump loyalists,” Perry said. Consumer Staples Select Sector SPDR Fund, widely known by its ticker, XLP, hit a new 52-week high on Monday, a more than 18% climb from its lows in December. The move was fueled by stronger-than-expected quarterly earnings from Kleenex parent Kimberly-Clark, which could set the rest of the group up for a good week of reporting. A fifth-grade student at an exclusive private school in Washington, D.C., and a Denver man on a business trip were among the U.S. residents killed in the Sri Lanka Easter attacks, a media report and the man’s employer said on Monday. Suspected suicide bombers set off explosions in at least seven churches and hotels in the capital Colombo on Easter Sunday, killing 290 people and wounding nearly 500. U.S. Secretary of State Mike Pompeo said “several” Americans were killed without providing a precise number. Kieran Shafritz de Zoysa, a fifth-grader at Sidwell Friends, died in one of the blasts, the school emailed to friends and family, according to CNN. Fifth-graders are around 10 years old. Staff at the school did not respond to requests for confirmation. “Passionate about learning, he adored his friends, and was incredibly excited about returning to Sidwell Friends in the coming school year,” school principal Mamadou Gueye wrote in the email, CNN reported. The boy’s citizenship was unknown. Sidwell Friends is the school where President Barack Obama’s daughters Sasha and Malia and President Bill Clinton’s daughter Chelsea attended. Dieter Kowalski, a Wisconsin native who lived in Denver, was also among the victims. He was on a business trip for the British education publishing company Pearson, which has 800 employees in Sri Lanka. “Dieter had just arrived at his hotel, where many of our colleagues have stayed over the years, when he was killed in an explosion,” Pearson CEO John Fallon said on LinkedIn. All other Pearson employees in Sri Lanka have been accounted for, Scott Overland, a Pearson spokesman, wrote in an email. A senior leader on a technical services team, Kowalksi was on assignment to work with local Pearson engineering teams, Fallon said.”Colleagues who knew Dieter well talk about how much fun he was to be around, how big-hearted and full-spirited he was. They tell of a man to whom we could give our ugliest and most challenging of engineering problems, knowing full well that he would jump straight in and help us figure it out,” Fallon said. Kowalski himself appeared enthusiastic about his trip, posting a map on Facebook showing the path from Denver to Colombo. “And the fun begins. Love these work trips. 24 hours of flying. See you soon Sri Lanka!” Kowalski said in his final Facebook post on Friday. The comments section became a forum for condolences from more than 200 people. Snap was called the “hottest tech IPO in years” in 2017, and yet in late 2018 it sank to its lowest stock price ever, dropping 40% from its IPO price of $17 per share to $4,82 per share. It currently sits around $11. And it took Facebook a full year after it went public in 2012 to hit its IPO price again after it fell for months. Though Facebook is now one of the most successful companies in the world, that prolonged shakiness can spook investors into selling early. In fact, more than 60% of the 7,000-plus IPOs from 1975 to 2011 had “negative absolute returns five years following their first day of trading, and only a handful produced extreme positive returns, according to a UBS analysis using data from University of Florida professor Jay Ritter,” CNBC reported. These dips in stock prices are standard for companies making their debuts, Eric Walters, a Colorado-based certified financial planner, tells CNBC Make It. Still, the data highlights why everyday investors should probably wait 12-18 months before buying stock from a company fresh off an IPO. Prices tend to fluctuate significantly as corporate insiders and venture capitalists sell their shares. The company will be working out how to operate as a publicly traded company. The people underwriting a company’s IPO aren’t necessarily interested in creating long-term value for an IPO investor, they’re interested in increasing short-term profits. “They want to increase excitement for a stock to maximize the gain on the actual IPO,” says Walters. Additionally, Walters says, investors should wait to see if management shifts, which is common after an IPO and can influence stock price. Waiting a year to a year and a half to buy allows these pressures to die down. Plus, you can get a sense of how the company will actually operate in the long term. Be wary of investing in a big name just because you read about it in the news, experts add. You don’t want to invest in something just because of the media hype. The majority of investors should not prioritize putting money into individual stocks, O’Shea says. For most people, the best way to invest is in low-cost ETFs or index funds. That’s the approach Warren Buffett has advocated for retail investors. Do you have an emergency fund with several months’ worth of expenses saved? Are you contributing to a retirement account? You want to have these aspects of your financial life in order first, before thinking about making an individual investment. Consider, too, your long-term investment plan. How does investing in Pinterest or Zoom (or Lyft or Uber) fit in? You might that find after considering your overall financial health, that it doesn’t make sense to invest in trendy companies right now. For example, if your goals are to pay for your kid’s college tuition and retire in 30 years, you need to ask yourself how buying individual stock helps you get there. And if you do decide to invest in individual stocks, they should comprise no more than 5% to 10% of your total portfolio, O’Shea says. If you have all of your other financial bases covered, you understand the risks and you still want to invest in an individual company like Pinterest or Zoom, follow these steps. Do your homework first. Get to know the company’s long-term business plan, how it makes money and how it fits into its investors’ lives. You can start by reading the company’s S-1 filing, which outlines revenue sources, risks, competition, when the company expects to turn a profit and more. Open a brokerage account, which is a taxable account through which you can invest in individual securities. This is different from other investment accounts, like a 401(k), which you typically cannot use to invest in individual companies. If you don’t already have one, you can open one of these at a regular or online brokerage company like TD Ameritrade or E-Trade. To decide which account is best for you, compare fees and stock offerings. Read up on the best online brokerages or consider a brick-and-mortar one. Search the company’s ticker symbol. Once you find the company you’re looking for, you can put in an order through your brokerage account. Pinterest is listed under PINS, for example, and Zoom is listed under ZOOM. Remember, it’s in your best interest to start small. You can always buy more over time if you decide it’s a good investment. China’s Luckin Coffee on Monday filed for an initial public offering with the U.S. Securities and Exchange Commission. The coffee chain, which intends to list under the symbol “LK” on the Nasdaq, set a placeholder amount of $100 million to indicate the size of the IPO, a filing with the regulator showed. The size of the IPO stated in preliminary filings is used to calculate registration fees. The final IPO size could be different. 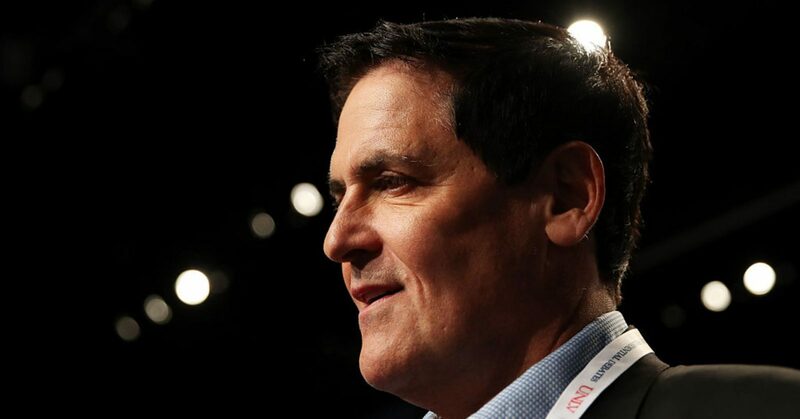 While Mark Cuban now has a net worth of $4.1 billion, he was once so strapped he didn’t even have enough money to get a bank account. he reportedly resold baseball cards, stamps and coins to make money. Then, after graduating Indiana University in Bloomington, a 24-year-old Cuban moved to Dallas with $60 to his name. He shared a $600-a-month three-bedroom apartment with five other guys. He says he slept on either the floor or couch and didn’t have a closet. He worked as a bartender at a club to make ends meet. But eventually, Cuban got into computers. So Cuban started his own business, MicroSolutions, which he sold to CompuServe for $6 million in 1990. Five years later, Cuban and his friend Todd Wagner created an online streaming audio service called Broadcast.com so they could listen to Hoosiers games from Texas. Yahoo acquired the business in 1999 for $5.7 billion in stock. 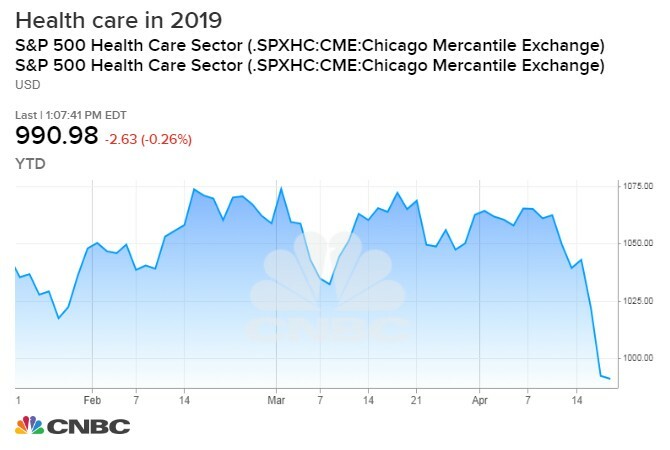 Health-care stocks fell sharply last week, notching their worst weekly performance of the year, but a rebound may be at hand. S&P 500 health-care sector fell 4.4% last week, its worst weekly decline since late December. The move ended with more than 93% of health-care stocks trading below their 20-day moving averages, a short-term technical indicator, according to Andrew Thrasher of Thrasher Analytics. Health care’s sharp drop comes as investors worry that left-leaning policy ideas like universal health coverage are gaining support, which could hinder corporate profits for companies in the space. The move down began Tuesday after presidential hopeful Sen. Bernie Sanders received a positive response to his “Medicare for All” plan at a town hall organized by Fox News. “What we’re talking about is stability. That when you have a Medicare for all, it is there now and it will be there in the future,” Sanders said at the town hall, which aired last Monday. The plan creates a single-payer health-care system run by the government, which Sanders argues would be more affordable for consumers. Worries increased after UnitedHealth CEO David Wichmann warned Tuesday that such policies would “destabilize the nation’s health system.” That comment sent UnitedHealth shares down 4% and the health-care sector down 2%. Health care is by far the worst-performing sector this year. It is down 1.2% in 2019 and is the only one trading in negative territory. By comparison, utilities is the second-worst performer of 2019 and it is up about 8%. The group was down fractionally in afternoon trading Monday. Biogen, Cigna and Abiomed are the worst-performing stocks in the sector, falling at least 20%. CVS Health is also down nearly 20% year to date. The ETF later recovered some of those losses to end the year up more than 11%. Only a handful of health-care companies have posted first-quarter earnings results, but the sector is outperforming all others. The sector’s blended earnings growth — which takes into account the expected earnings growth and reported growth rates — through Monday morning is 4.7%, according to FactSet. Robert Pavlik, chief investment strategist at SlateStone Wealth, said last week’s drop in health care is a buying opportunity, but it will be a bumpy ride higher for investors as political rhetoric around health-care will keep growing. President Donald Trump’s landmark 2017 tax legislation will benefit rich households in Republican states more than rich households in Democrat states, a new research paper says. Perhaps best known on Wall Street for lowering the corporate rate tax to 21%, the Trump administration’s Tax Cut and Jobs Act also made notable changes to personal taxation. Republican leadership cut the top individual income tax rate from 39.6% to 37% and modified the amount for a number of tax credits. It also nearly doubled the standard deduction to about $12,000 for singles and $24,000 for married joint filers. But one of the most drastic changes included a $10,000 limitation on the amount of state and local taxes (SALT) that can be deducted. Since there was no prior cap on the amount taxpayers could deduct, states with high state and local taxes (which typically vote Democratic) are poised for less benefit. As such, the president’s signature tax reforms have sparked debate in across the country, splitting Democrats and Republicans over the federal deficit and the distribution of the benefit. Blue states including New York, New Jersey and Connecticut — among the states with the highest property taxes — sued the federal government and insist the SALT limit is unfair to their residents. Citizens of those states likely won’t see as much benefit from the Tax Cut and Jobs Act thanks to higher local taxes. In 2015, the average SALT deduction for New Yorkers who claimed the tax break was more than $22,000. On the other hand, Republicans assert that repealing the SALT deduction would disproportionately benefit high-income taxpayers. The non-partisan Tax Policy Center estimates that about 9% of households would benefit from a repeal of the $10,000 cap on the SALT deduction and more than 96% of the cut would accrue to the top income quintile of households. Kimberly-Clark — Kimberly-Clark rose nearly 4.5% after the company reported strong first-quarter earnings. The parent company of Kleenex, Huggies and Kotex reported $1.66 per share versus the expected $1.54 per share, according to Refinitiv. Tesla — Shares of the automaker fell over 3.7% following an apparent explosion of one of its vehicles in Shanghai. It wasn’t immediately clear which Tesla model was affected, and the company sent a team to China to investigate. Boeing — Shares of the airline manufacturer dropped 0.6% following The New York Times’ report that Boeing ignored workers’ concerns over its production quality of 787 Dreamliner jets. Complaints come after two fatal crashes since October of its 737 Max. CannTrust Holdings — Shares of CannTrust Holdings dropped 2.25% after the Canadian producer of medical and recreational cannabis announced it will issue $200 million worth of additional shares. Bed Bath & Beyond — Bed, Bath & Beyond fell 3.39% after the housewares retailer announced it will be reconstructing its board. Five independent directors, the company’s founders and the co-chairman will all leave their positions on the board. Lead independent director Patrick Gaston has been named as the new chairman of the board. Chevron, Exxon Mobil — Shares of the major energy companies rose 1.6% and 2.1%, respectively, after the U.S. announced it will halt sanction waivers to countries importing oil from Iran. The broader energy sector also outperformed on Monday, with the Energy Select Sector SPDR Fund surging 2%. Rent-A-Center — Rent-A-Center shares jumped nearly 8% after the company settled a lawsuit related to the termination of its merger with Vintage Capital Management. The company received more than $92 million from the deal. W.W. Grainger – Shares of the industrial product distributor fell more than 4% after reporting revenue that missed Wall Street forecasts. The company’s CEO said sales were “softer than expected.” Earnings, however, did beat expectations, and W.W. Grainger reiterated its outlook for the remainder of the year. The stock is on pace for its worst day of trading since early December.